This is a unique book by a very respected scholar. 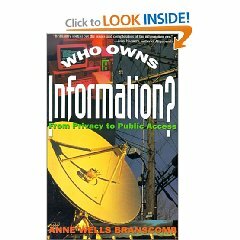 It methodically goes, chapter by chapter, over who owns your name and address (the U.S. Postal Service does), your telephone number, your medical history, your image, your electronic messages, video entertainment, religious information, computer software, and government information. The answers are not always obvious. A real benchmark.